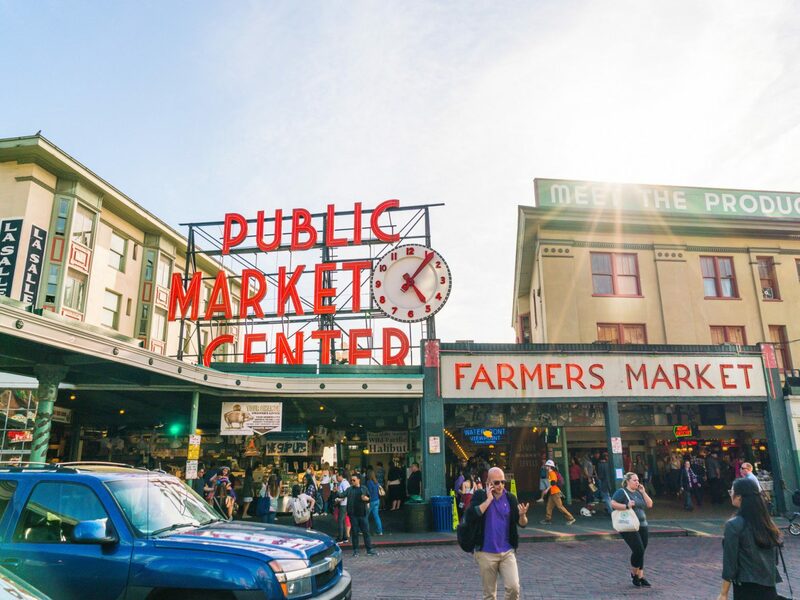 Thanks to tech giants like Amazon, Microsoft, and Expedia, Seattle has cemented its position as the Silicon Valley of the Pacific Northwest. 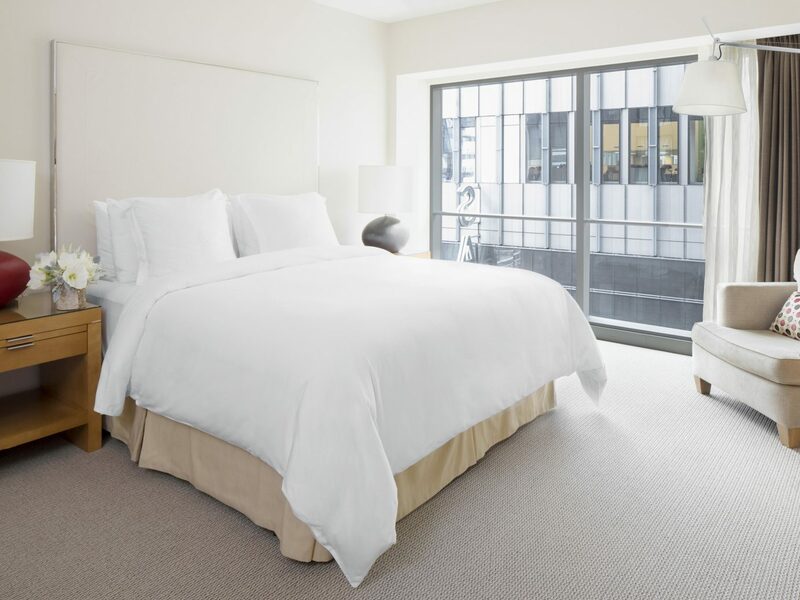 This big business is ushering in a building boom—just look to the city’s skyline, and you’ll find a sea of construction cranes towering among the high-rises—as well as a slew of chic boutique hotels opening around the Emerald City. 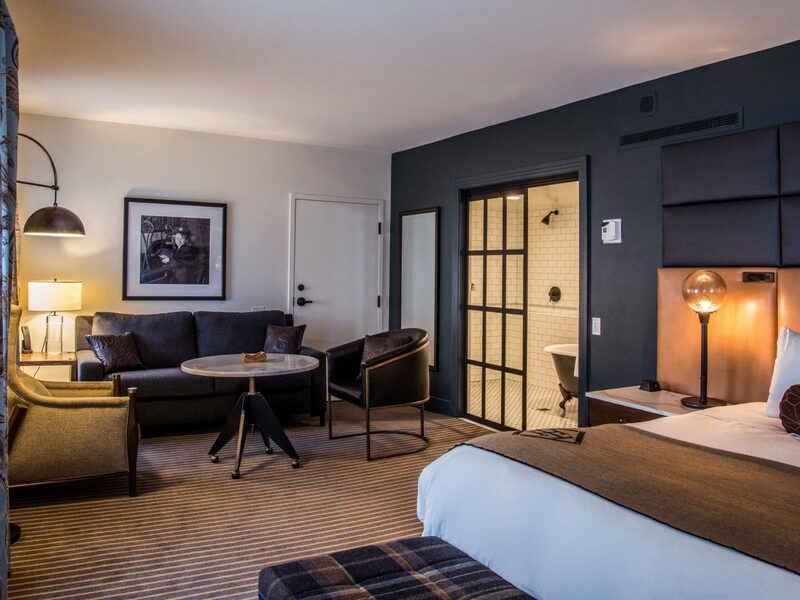 Here, the best Seattle hotels now. 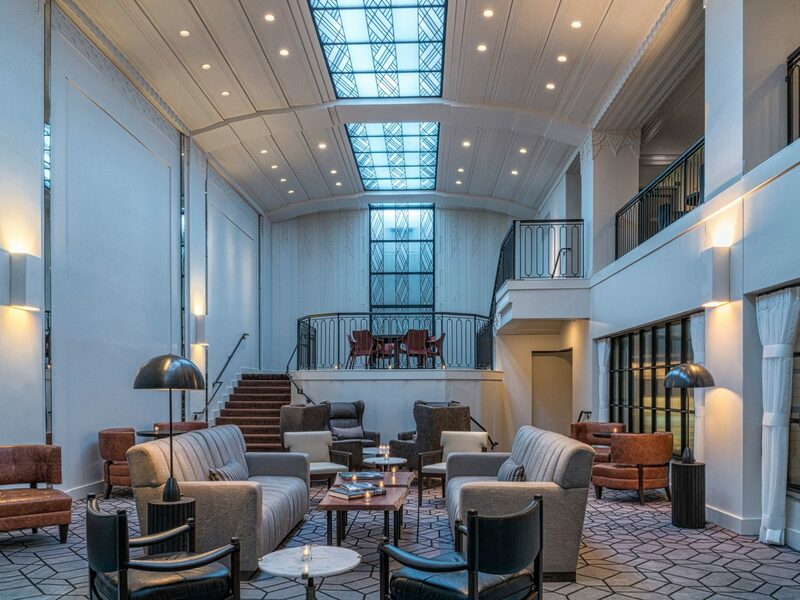 The Thompson is Seattle's OG boutique hotel: its sleek, all-glass exterior designed by local firm Olson Kundig and upscale eats by chef Josh Henderson made waves when it debuted two years ago. 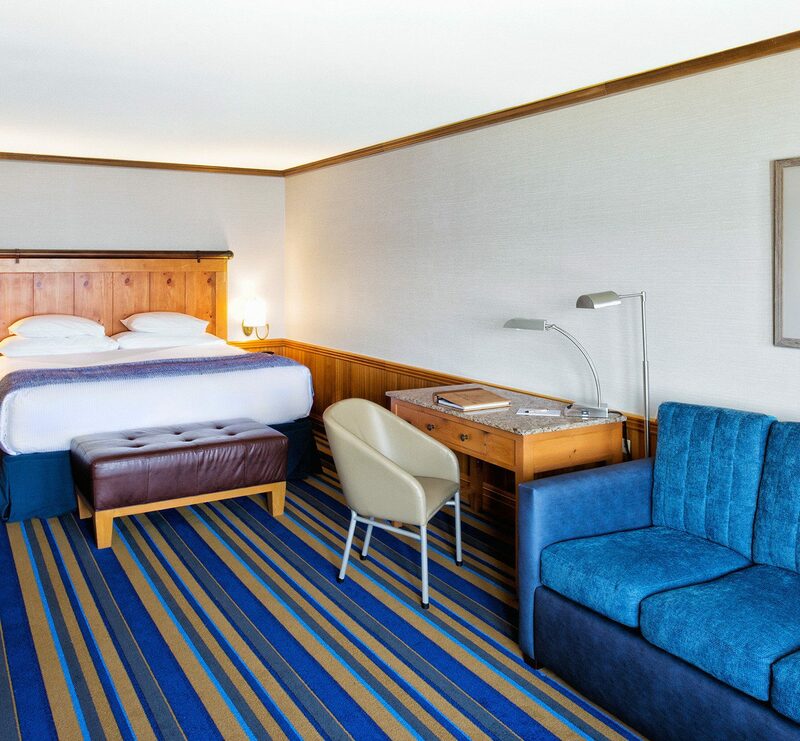 Guest rooms bring the outdoors in, with navy blue color schemes, handsome dark wood furnishings, and floor-to-ceiling windows framing Elliott Bay. 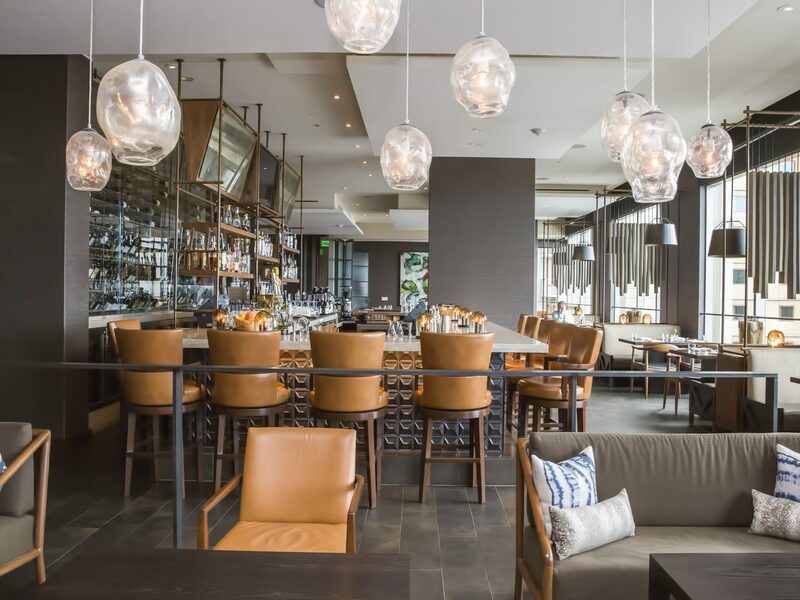 Similarly, the signature restaurant Scout—a vision of plaid and Douglas fir—takes a hyper-local approach to the menu, serving hand-caught Puget Sound seafood, wild mushrooms foraged from the Cascades, and grass-fed beef from Washington’s eastern farmlands. 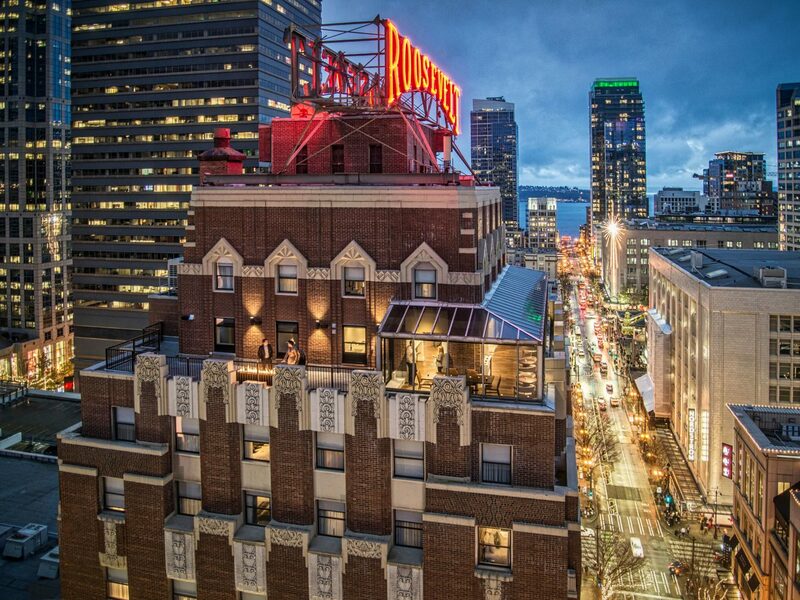 What really put the hotel on the map was The Nest, one of Seattle’s first rooftop lounges. Outdoor fire pits, plush sofas, and pricey craft cocktails may scream New York, but the fresh oysters (shucked at your seat) and Mt. Hood backdrop keep it firmly rooted in the Pacific Northwest. 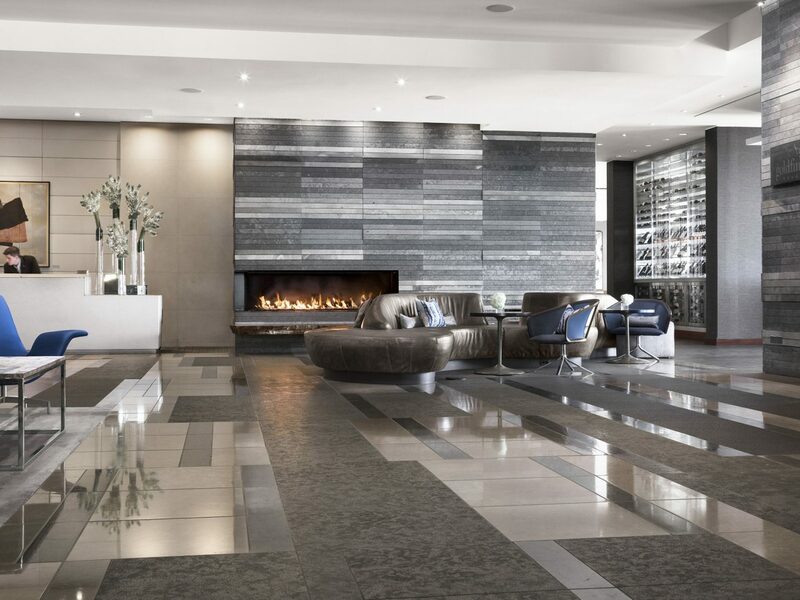 For such a modern city, the Four Seasons Hotel Seattle stands out with its Old World charm. 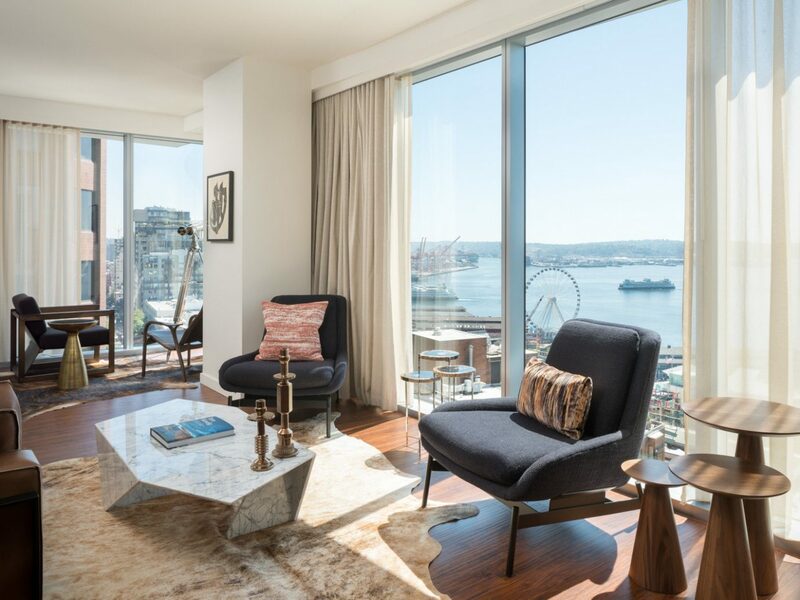 True to the Four Seasons name, this grand dame has perfected the sophisticated, pared-down aesthetic, with low-slung sofas, light-wood furnishings, and abstract Northwest artworks reproduced from the nearby Seattle Art Museum. 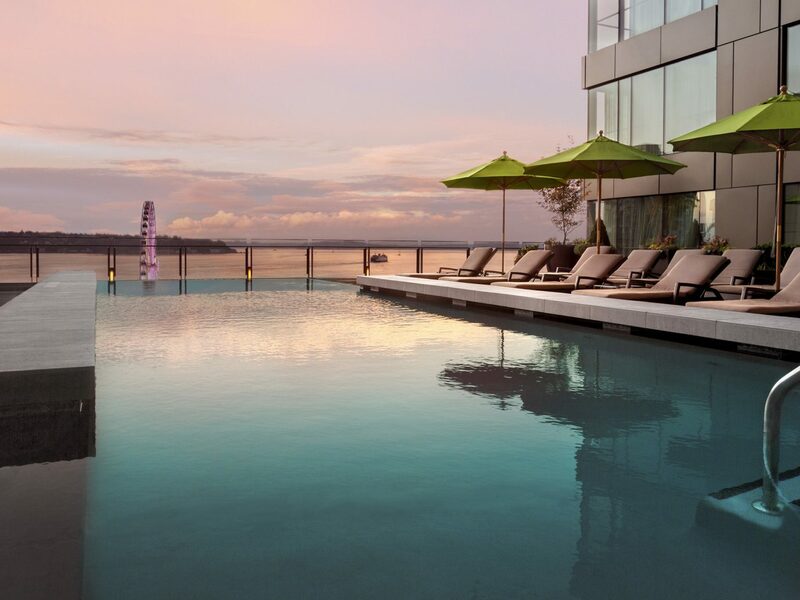 The amenities are equally sumptuous: the 6,000-square-foot spa has a couple’s suite with waterfront views; there's a heated infinity pool, outdoor hot tub, and fire pits on a deck overlooking Elliott Bay; and Goldfinch Tavern serves Pacific Northwest favorites like King salmon crudo, Dungeness crab ravioli, and geoduck clam salad. 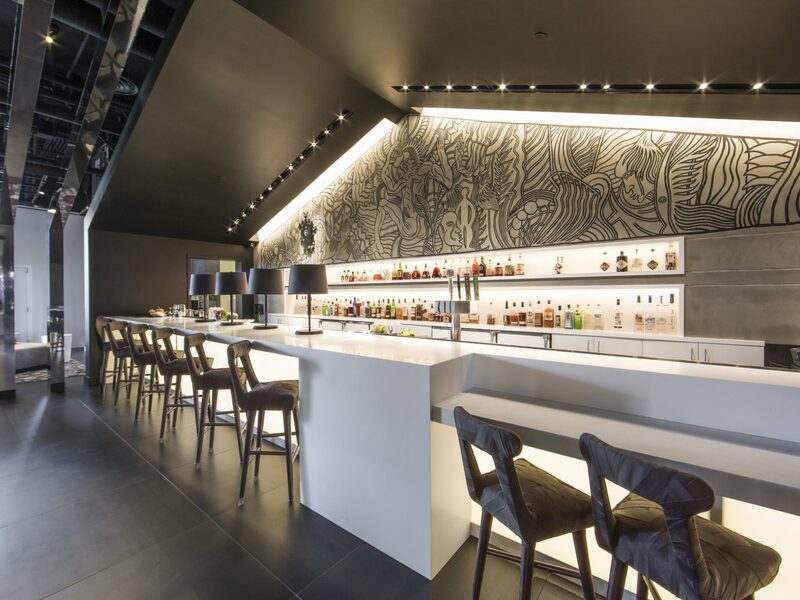 Think of The Charter as Seattle’s new cool kid on the block. 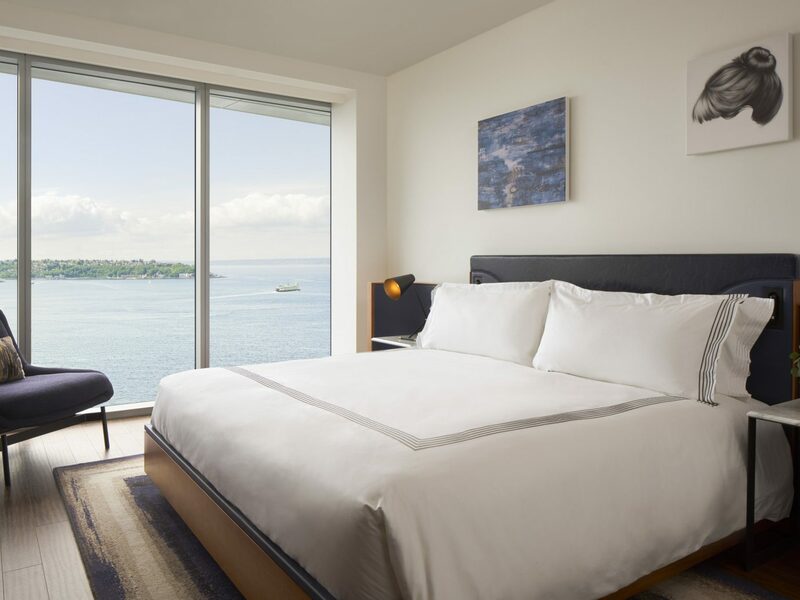 Coming in July, this 229-room stunner will be the most recent addition to the waterfront area around Pike Place Market. 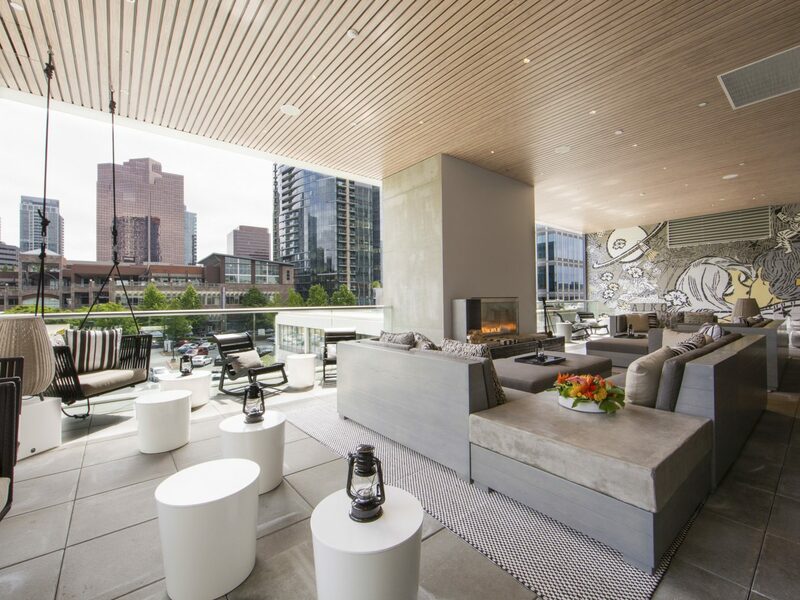 The focus here is on its swanky public spaces: the 16th-floor Fog Room is a clubby indoor-outdoor rooftop bar overlooking Puget Sound while Patagōn restaurant grills up Argentinian-inspired plates (like Matambre stuffed flank steak rolls) on an open parrilla. After gorging yourself on cocktails and chef’s specials, work off all the calories at the 2,500-square-foot fitness center or—better yet—skip the StairMaster and hit the sauna, steam room, and rain shower instead. We won’t judge. 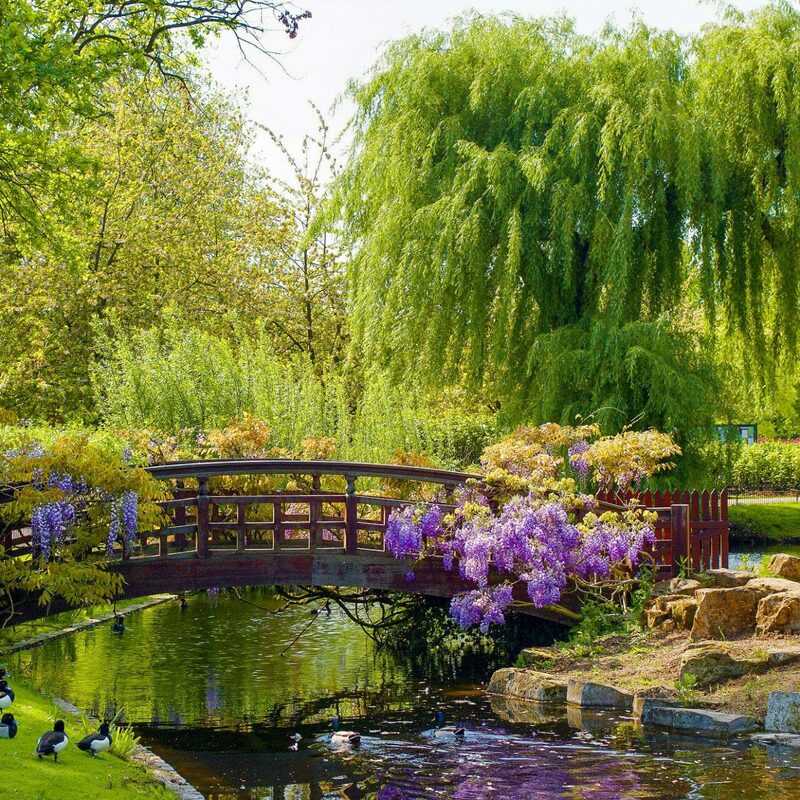 The Emerald City may be in a construction craze, but that doesn’t mean that its historic gems are all lost. After sitting vacant since the 70s, the 1904 landmark Eitel Building is being reborn as the State Hotel, set to debut this winter. Seattle architecture firm Weinstein A+U and the Portland-based Vida Design company have joined forces for the $12.2 million renovation, which will polish the stately stone façade (a stark contrast to the surrounding skyscrapers), develop street-level storefronts and restaurants, and add an eighth floor with guest rooms and a rooftop terrace featuring Pike Place Market views. 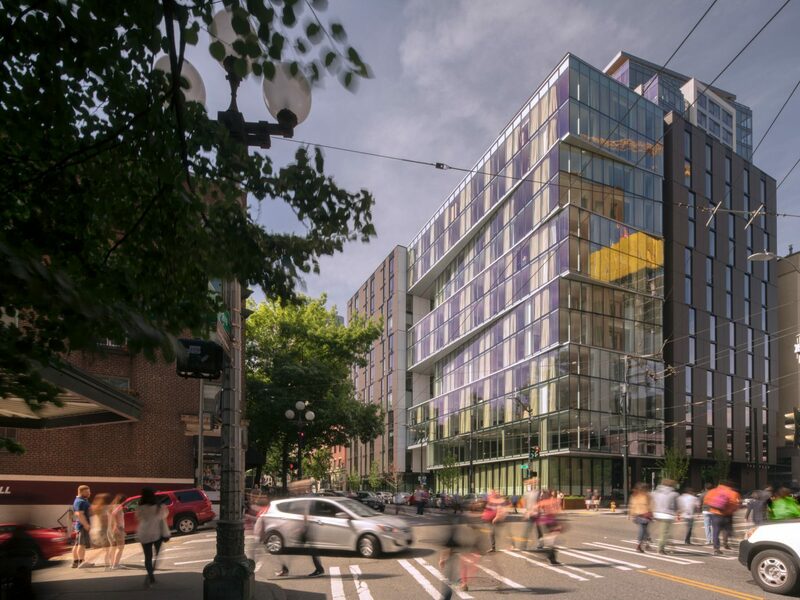 This fall, all eyes are on the 1,260-room Hyatt Regency, which is set to be Seattle’s largest hotel and one of the biggest developments on the West Coast. 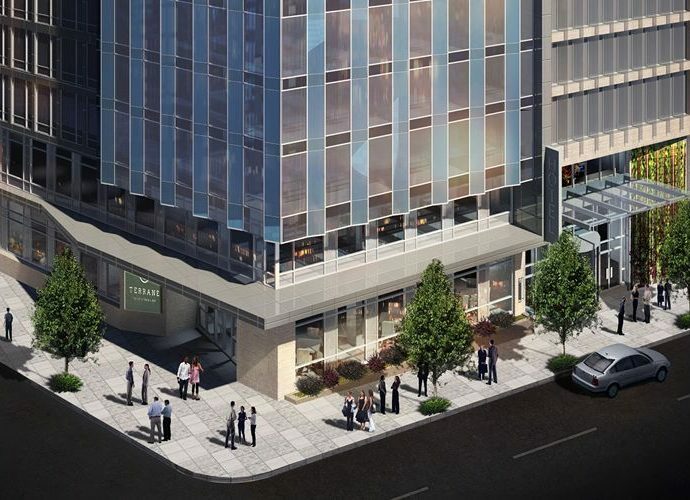 Taking up an entire block of downtown’s Denny Triangle neighborhood, this sprawling 45-story stunner will have more than 103,000 square feet of meeting and events space—acting as an expansion of the nearby Washington State Convention Center. 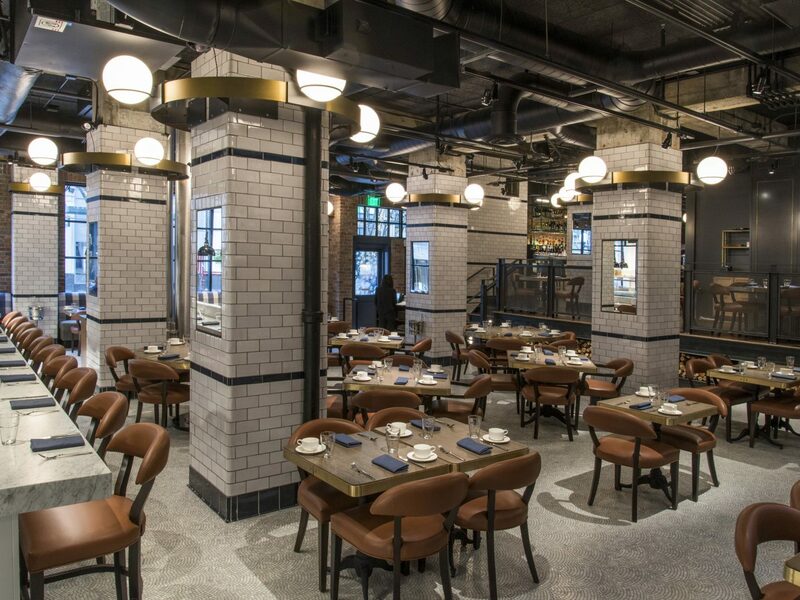 Other highlights include an on-site chophouse, a piano bar with an impressive whisky collection, a casual American eatery, and a 24-hour grab-and-go market. 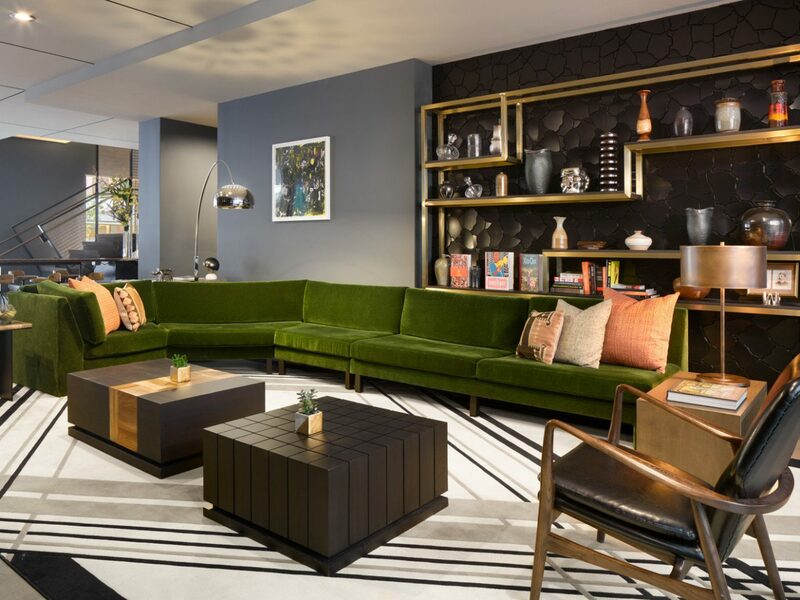 Although the Roosevelt Hotel's original red neon sign still crowns this 1929 Art Deco building, it’s taken on a new life as the Hotel Theodore. 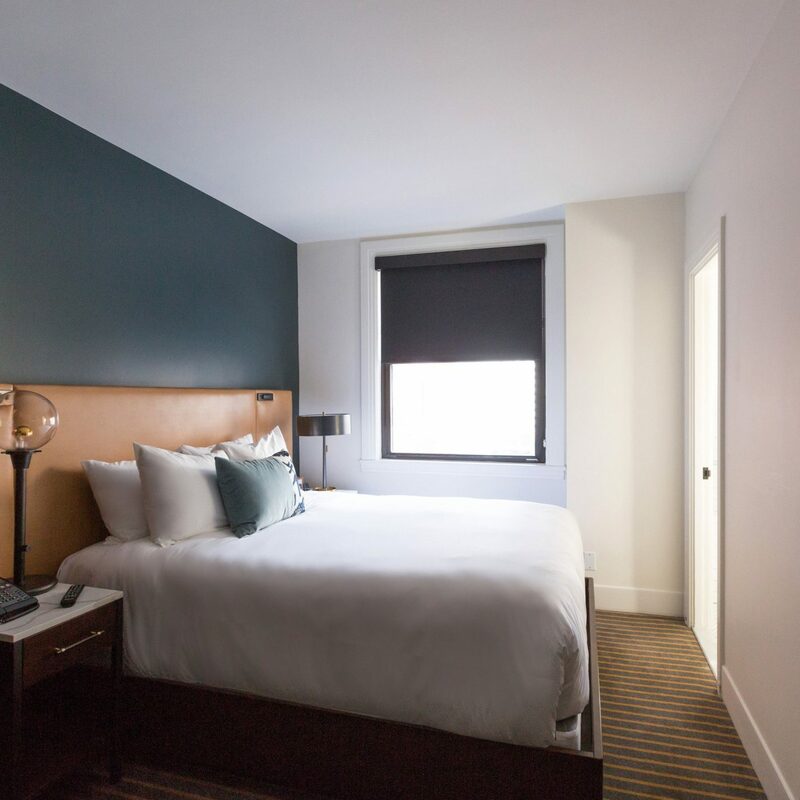 The 151-room property, which reopened last November, nods to its past with archival artwork courtesy of the Museum of History & Industry while adding high-tech touches like Tesla chargers in the valet parking area and funky Freeman raincoats in the suites. There’s even a whole floor stocked with vintage vinyl as a dedication to Light in the Attic, a local record label responsible for artists like Willie Nelson and The Grateful Dead. 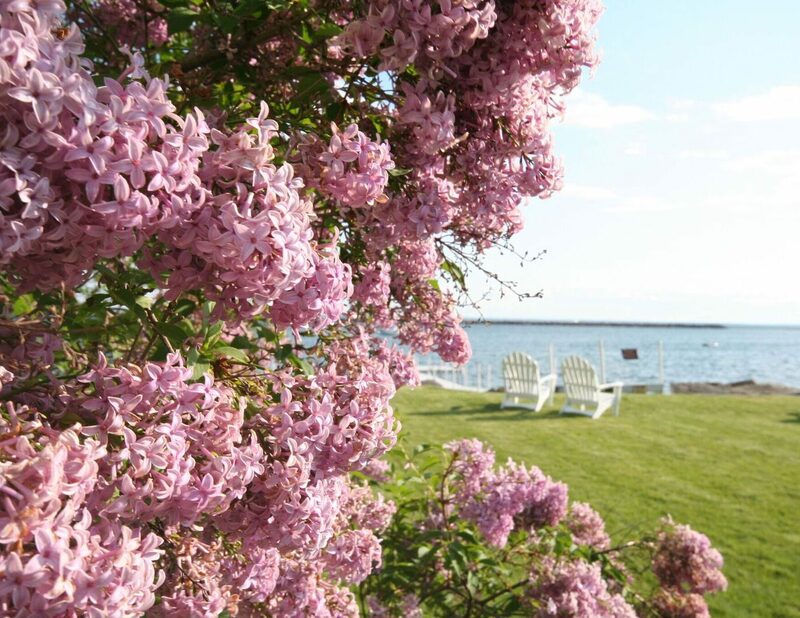 Don’t miss the free wine-and-beer happy hours or a meal at the Rider restaurant, whose dishes takes cues from the region’s foragers, farmers, and fishermen. Directly across Lake Washington, the Eastside has gotten a major upgrade thanks to the new W Bellevue. Pop-art murals, neon-colored furniture, and graphic wallpaper lend a whimsical air to the 41-floor tower, but it’s not all fun and games here. 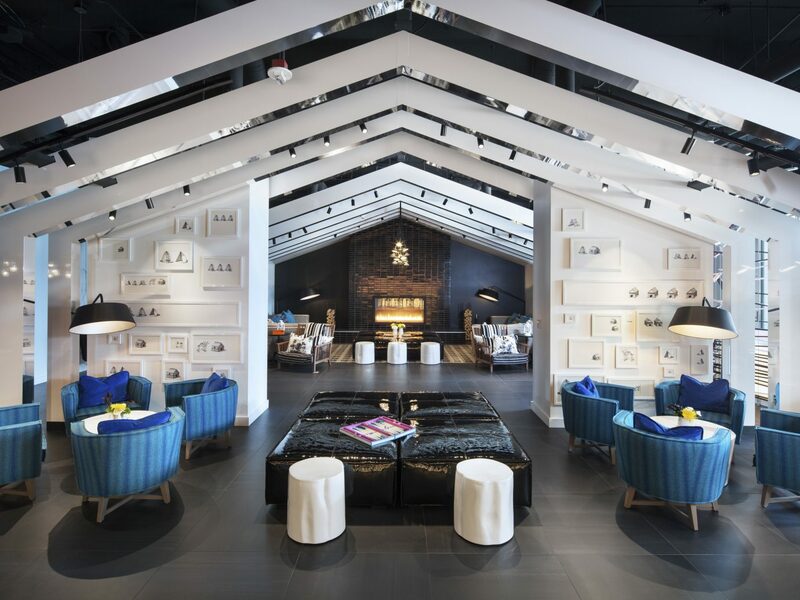 The hotel’s 180,000 square feet of retail space accounts for a whopping $1.2-billion expansion of the Bellevue Collection mall in the Lincoln Square shopping district, and its food and dining program has some serious star power, with a hidden speakeasy and farm-to-table restaurant both helmed by James Beard Award-winning chef Jason Wilson. At The Lakehouse, be sure to order the curry-roasted cauliflower and beet-pickled deviled eggs.